A zero-calorie, sugar-free, carb-free, sweetener-free, flavored water that’s jam-packed with electrolytes and tastes delicious? Sounds fake. 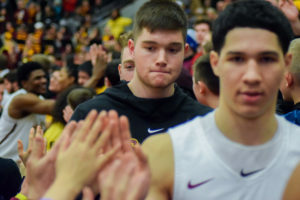 A few years back, La Grange, Illinois local Dana Dreves became dissatisfied with her soda-reliant lifestyle and wanted to better herself and other active women in the Chicagoland area, whether they’re athletes, office workers or homemakers. That was when she first got the idea for craftwater. The flavored still water company first launched in 2017, a year after the idea popped into Dreves’ head. It was the product of patience and determination to create a sweetener-free drink by the hands of Dreves and her beverage scientist, Cydney Whitmoyer, who runs drink development company Parkside Beverage in Leesport, Pennsylvania. Dreves, 54, said she knew exactly what she wanted to create — a sweet but sugar-free beverage chock-full of hydrating electrolytes people could enjoy without it making them crave actual sweets — but she had no idea how to make it. That was when she started researching beverage scientists and came across Whitmoyer. 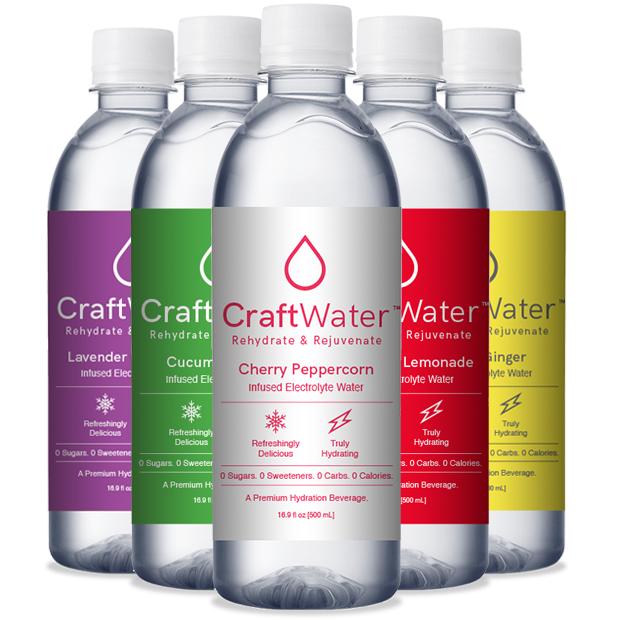 Craftwater currently comes in five original flavors — cucumber lime, cherry peppercorn, lemon ginger, lavender lemonade and strawberry lemonade. Lavender lemonade — a sweet, balmy taste with an undertone of mint and aroma of tart lemons — is one of Dreves favorite flavors, but she said she drinks every flavor. Dreves also said she pays attention to what her customers want. When a frequent consumer suggests a flavor, said she works tirelessly to find something that meshes well with it. 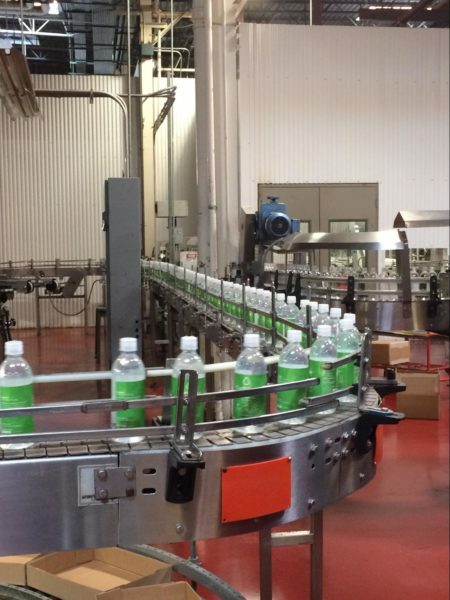 Courtesy of Dana Dreves craftwater, which launched in 2017, is bottled at a factory in Streamwood, Illinois. When a flavor combo is Dreves-approved, it’s produced at Silver Creek Bottling Company (601 E. Lake St.) in Streamwood, Illinois. There, it’s siphoned into stylish plastic bottles with eye-catching, vibrant labels and shipped out, ready to entertain taste buds. Unlike other flavored water competitors like La Croix and Sparkling Ice, craftwater is loaded with electrolytes — those little electrically charged minerals like calcium, chloride, potassium and sodium are the basic essentials for regulating body fluid levels. When people sweat, they lose their electrolytes, which must be replenished. Craftwater is also a still water, so those turned off by carbonation can enjoy it too. Dreves said everybody seems to like craftwater so far, but it mostly appeals to women with active lifestyles because it hydrates and hits the sweet spot. Supporting amazing and exceptional women has become craftwater’s mantra and Dreves’ said her mission is to help women feel, perform and look their best. Craftwater is mostly sold in family-owned markets and health clubs all over the Chicagoland area, including Provisions Uptown, Eli’s Cheesecake and certain 7-Elevens. It’s also available for sale at www.craftwater.co, where they cost $23.88 a dozen.